White River Sound Chorus is proud to have the following quartets associated with our chorus. 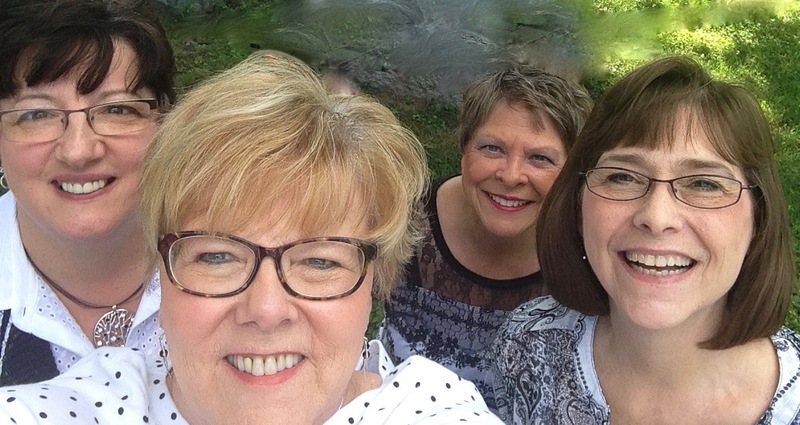 What happens when four long time Sweet Adelines get together to sing? A quartet is born! 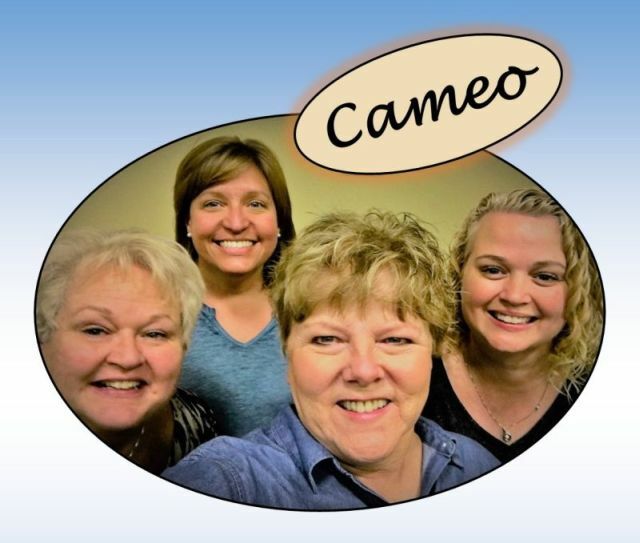 Cameo features the vocal talents of four such women. Tenor Michelle Thistle bagan singing in a variety of groups, including the Indianapolis Children's Choir, at the young age of 12. Bass Sue Pelley has sung in four choruses and several quartets throughout her 25 year singing career. Lead Debbie Thistle has also sung in several quartets through the years and also directs White River Sound Chorus. And baritone Rachel Libbon has enjoyed many years of chorus and quartet singing. Michelle and Rachel live in the Cincinnati area, with Sue and Bebbie living in Indianapolis - truly a bi-state quartet! With a varied repertoire of a capella music sung in the barbershop style, this talented group of women looks forward to entertaining your group's next function. Our other chapter quartet is called SLQ- Aptly named because each is the "Section Leader" in White River Sound chorus. Leading with strong and beautiful voices, they decided to put together this quartet for public performance opportunities. You can't go wrong with this quartet. They have experience and talent behind their blend.